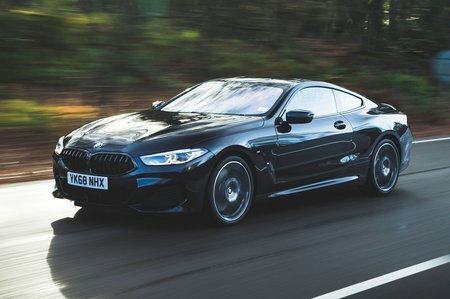 BMW 8 Series Performance, Engine, Ride, Handling | What Car? Eagle-eyed BMW fans may have noticed that, despite using the same engine as the M5 saloon, the M850i doesn’t have quite as much power. In effect, the M5’s engine has been detuned for this application, but this fact shouldn’t necessarily come as a disappointment. There’s no doubt at all that the 4.4-litre twin-turbo V8 feels immensely flexible and impressively refined, imbuing the 8 Series with a sense of duality that entirely befits a continent-crushing GT. It’s smooth and – as turbocharged engines go – quick to respond to any accelerator input, at whatever speed you're driving. So, not only is it effortless to drive around town but, with the added traction of xDrive four-wheel drive, you can deploy all 523bhp with virtually no drama when the roads open up. In fact, in some respects it feels more like a Bavarian Nissan GT-R than it does a luxurious GT, such as the way it effortlessly devours long stretches of demanding country road in the blink of an eye. The 840d’s six-cylinder diesel impresses in a different way; its silky smooth power delivery gently ushers you along in town and leads to truly effortless motoring on the open road. Drag race the two engines against each other and there’s a clear winner; the M850i covers 0-62mph in 3.7sec, compared with the 840d’s time of 4.9sec. However, the difference will go unnoticed unless your everyday drive is more racetrack than motorway. Factor in the 840d’s rather more palatable running costs and we reckon it’s the engine that suits the car best, striking an appropriate balance between performance and economy. The diesel is also wonderfully hushed, even under hard acceleration, and engine noise all but disappears at a steady cruise. If the absence of a soul-stirring exhaust note is enough to put you off the 840d, you’ll be dismayed to hear that the M850i remains relatively subdued, even in Sport Plus mode. In an attempt to add a spark of aural charisma, BMW has engineered in the odd pop and crackle from the exhaust when downshifting, but it’s still not exactly extrovert. And sadly, when combined with the augmented engine note that plays through the car’s stereo speakers, it feels a little contrived. What doesn’t feel contrived, however, is the way the 8 Series handles. 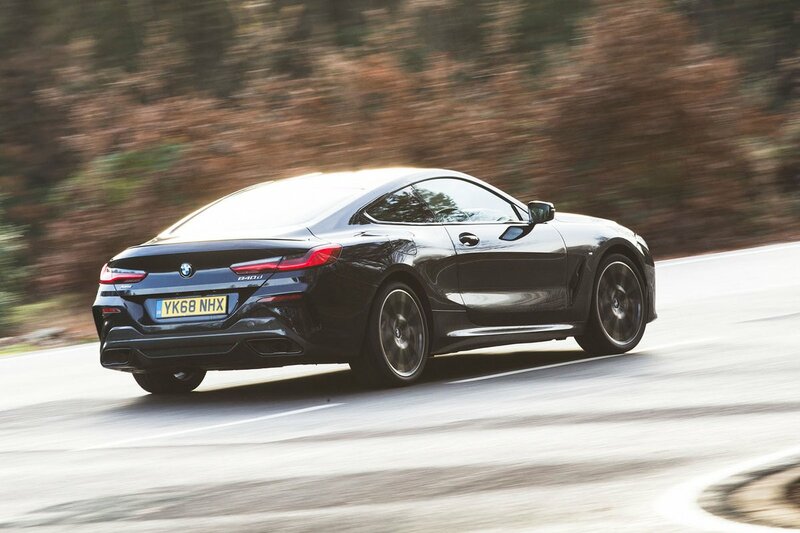 Despite looking like a large GT from the outside, the 8 Series positively shrinks around you. With four-wheel steering and a clever traction-boosting ‘eDiff’ on the rear axle, this substantial coupé can be made to dance to your tune. Granted, the steering doesn’t tell you a great deal about what’s happening between the tyres and the road but, with such an obedient chassis, you still place the car with incredible accuracy. Unfortunately, like everything in life, it’s rare to get something for nothing. 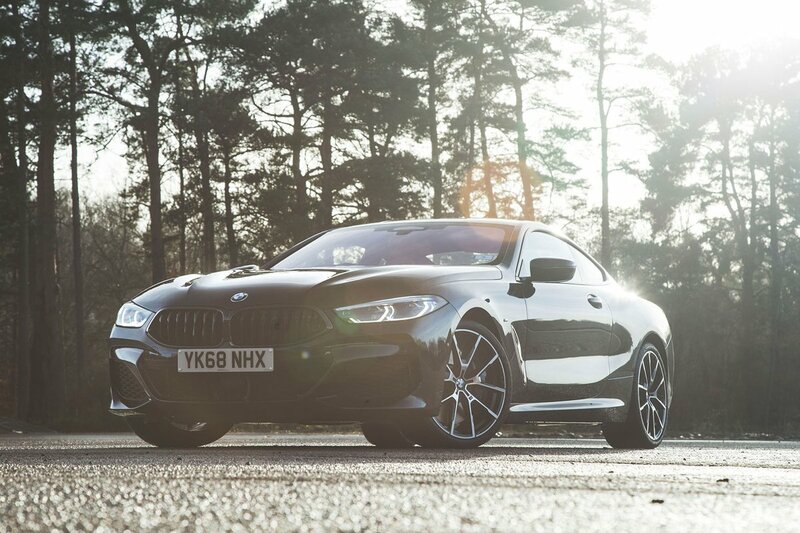 In this case, athletic ability comes at the cost of ride quality, and the 8 Series is simply too firm for a luxury GT car, thudding over sudden abrasions around town with none of the grace you might expect. It does settle down at higher speeds, though, and is comfortable over long distances. Our misgivings on ride can be traced to BMW’s brave decision to fit steel springs as opposed to air suspension – the latter being found on everything from the Porsche Panamera to the S-Class Coupe – on the basis that springs are traditionally seen as the ‘sportier’ choice. Alas, it would seem this was a mistake.